Willis Towers Watson advocates a bespoke modelling framework to answer those “what if” questions when reviewing or changing portfolios. Sophisticated asset owners, such as sovereign wealth funds, often need to address the concerns and questions raised by their internal and external stakeholders. The 2018 Willis Towers Watson’s Global Investment Matters report highlights how a bespoke modelling framework can help answer very fund-specific “what if” questions when reviewing portfolio allocations or proposing new portfolio strategies. Willis Towers Watson has developed a framework to help asset owners in Asia evaluate their portfolio in a forward-looking manner, which a number of existing clients are already using. 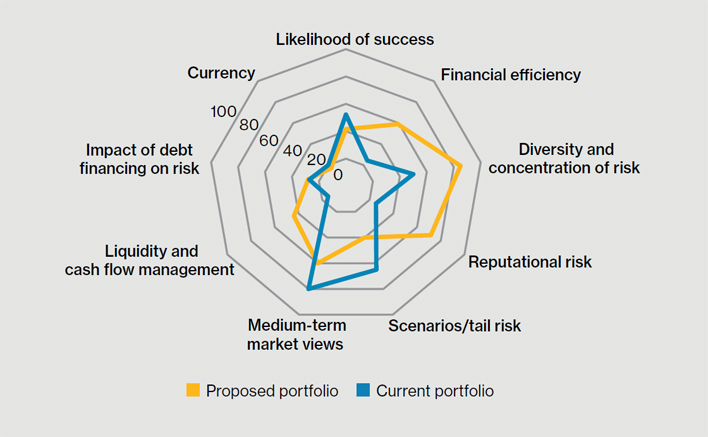 The framework integrates capital market views and longer term assumptions, and produces a suite of portfolio analytics. As a result, asset owners are now able to answer important questions that they could not have answered in the past. To understand the appropriateness of their existing asset allocation in the context of portfolio efficiency, robustness, medium term appropriateness and risk and liability measures. Willis Towers Watson’s bespoke modelling framework includes a tool called a portfolio scorecard, to help investors compare “what ifs” for different portfolios and to assist them in assessing the relative merits of each scenario. It also enables comparisons across different portfolios against certain objectives so that specific portfolio ideas can be supported and verified quantitatively. Colwell said the use of bespoke modelling is a response to demands from global asset owners to better understand their portfolios on a forward-looking basis. This trend means many asset owners now use third-party standard or bespoke modelling tools. Incorporating megatrends into portfolio and business planning: Tom Brooke-Smith, asset allocation strategist, delves into why investors and business leaders should incorporate a megatrend framework into their decision-making process, as well as identifying areas of opportunity and key risks that require hedging. Five ways for investors to find true value: Craig Baker, global chief investment officer, examines how investors should focus on value for money, not solely headline fees. Asset owners need to ask the right questions to discover where real costs lie and how they can address these costs. The case for delegation just got stronger: Pieter Steyn, head of delegated investment service, UK, examines the growing shift toward delegation within the pensions space as many boards seek to manage risk and returns. Li has joined the US consultancy firm from Willis Towers Watson, and will have expanded coverage in her new capacity. The investment consultancy's Asia-Pacific head of portfolio advisory is moving on after eight years in the role, as the firm narrows its focus in the region. It is crucial to identify which parts of an investment portfolio need treatment to make it work better. Here are some practical examples of weaknesses that could be detected earlier and need attention to fix. Investors should re-assess their approach to constructing equity portfolios now or risk posting disappointing returns.